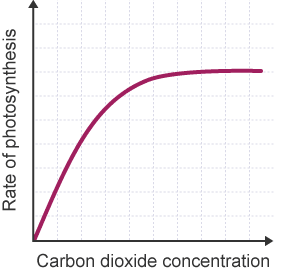 There are two reflex responses in the eye that you need to fully understand for A* levels at iGCSE. It is really easy to get them confused but I am going to put on consecutive blog posts so you can see the similarities and differences easily. 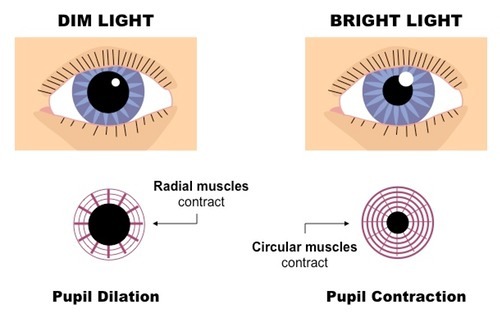 The first is a reflex called the “Pupil Reflex” which is to ensure an appropriate amount of light enters the eye in both bright and dim light. 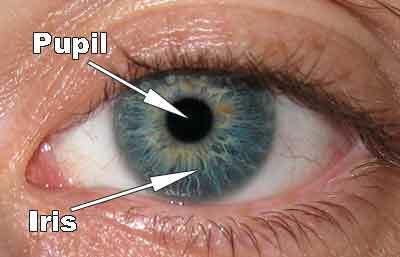 The only structure in the eye involved in the Pupil Reflex is the Iris. The second reflex explained in part 2 is the “Focusing Reflex” (or sometimes Accommodation) which makes sure that light entering the eye from objects at different distances away is focused correctly onto the retina. The structures involving in Focusing are the Lens, Ciliary Muscle and Suspensory Ligaments. 1) Why do we need a pupil reflex? 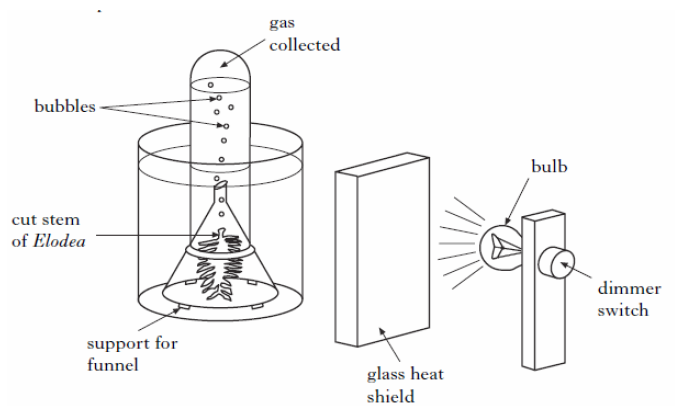 The eye has evolved a mechanism to ensure that the amount of light entering the eye can be adjusted. 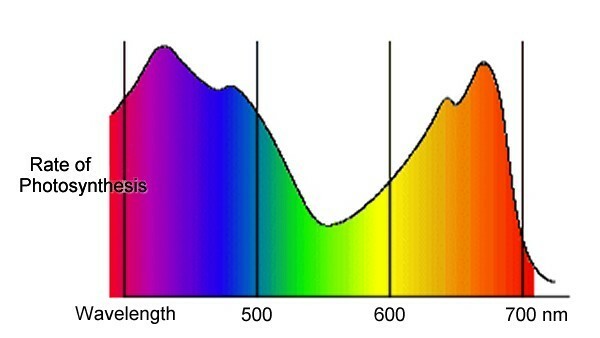 In bright light you need to limit the amount of light to prevent the light damaging the light-sensitive cells in the retina (a process called “bleaching”) and this is done by making the pupil at the front of the eye small. A small pupil would be useless for vision in low light intensities as then not enough light would get to the retina and vision would be very poor. 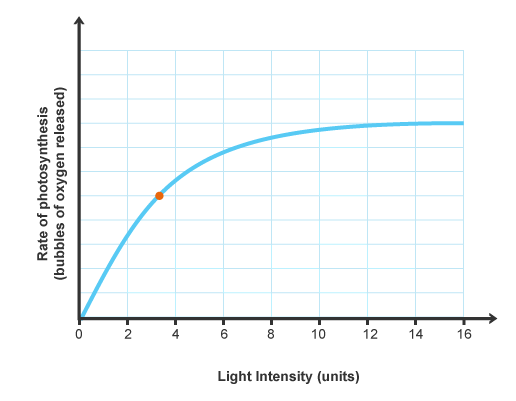 So in dim light (low light intensities) the pupil is enlarged to allow a maximal amount of light into the eye. 2) What is the Pupil? The pupil isn’t really a structure at all as it is simply a circular hole in the iris. The iris is a coloured muscular disc at the front of the eye. The iris has two sets of antagonistic muscles in it that can contract or relax to change the diameter of the pupil. 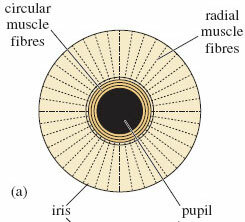 There are radial muscles arranged like the spokes of a bicycle tyre and also circular muscles in the iris as shown in the diagram below. 3) How do the muscles in the iris bring about the pupil reflex? Remember muscles can only contract or relax. When the radial muscles contract (shorten) they will pull the iris into a narrower shape so the pupil gets much wider. When the circular muscles contract, they will squeeze the pupil smaller so the pupil will narrow. 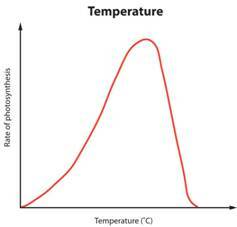 So you need to basic understand the state of these two sets of antagonistic muscles in both bright and dim light.